Turkey hunting is awesome, except when it is miserably hot outside. Which, down South, is about half the season. The worst days are the wet ones, when the dew is laying heavy and it’s showering on and off, but not enough to keep the longbeards from gobbling. You really don’t want to be spending big bucks on turkey hunting rain-shells if you can help it. First of all, turkey hunting is a down and dirty thing, when you will spend a lot of time grubbing it out on the ground huddled at the base of a tree, instead of sitting in a clean airy deer stand. Second, rainshells are an infrequently-needed item, and you don’t want to spend a lot on something that you’ll use eight times a season. And finally, heavier duty waterproof gear tends to overkill on thickness and thus bulk and weight. I run and gun for turkeys, meaning I need to stay mobile and lightweight. All of that is why the new Walls Outdoors Ultra-Lite Packable turkey shell line is perfect for the southeast hunter. At $71 for the jacket, you’re paying just enough to know this isn’t a throwaway item (and the build quality is excellent), but not so much that you feel obligated to lug your $300 Gore-Tex top around everywhere you go. The pants ($41) are perfect for wet mornings and you can roll them up and stash them once the dew is off the ground (if you haven’t killed a bird by then, of course). Comfort-wise, these are easy-breezy breathable clothes that won’t swamp you out and make you sweat. 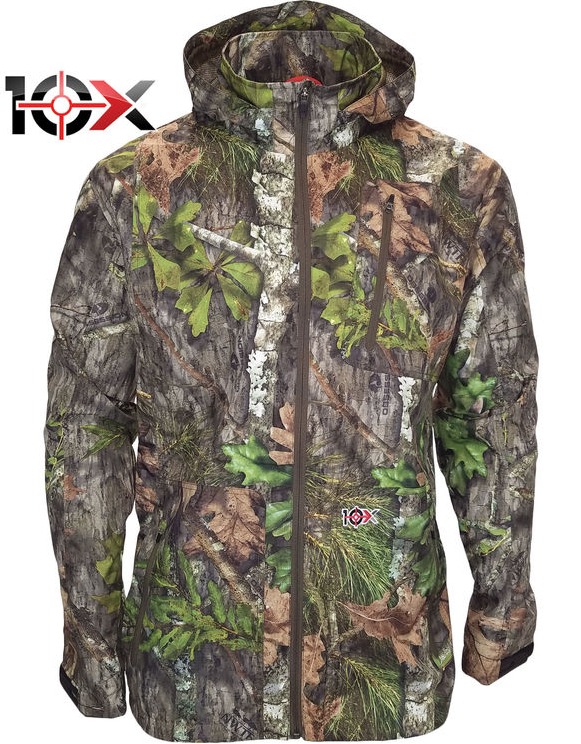 They’re perfect for a breezy morning as a light shell, and in my case they’ve been great for making the open water crossing to the WMA where I hunt. In fact, once turkey season is over, I plan to stash them in my boat for ordinary rainshell use year round. This is a quality product at a reasonable price and you can’t really ask for more than that.